behind is not to die." When reviewing the above transcription, I became acutely aware of the date. 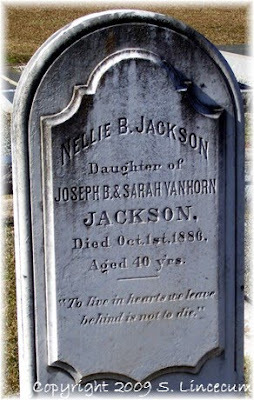 Today is the 123rd anniversary of the death of Ms. Nellie Jackson. While hoping her epitaph is true, I put Nellie in my heart.